Contax Cable Switch L-30 for Contax AX, RX, Aria, RTS3, G1 and G2. Lockable switch. Cable is nominally 30cm, but actually just about 25cm. May not be exactly as shown. 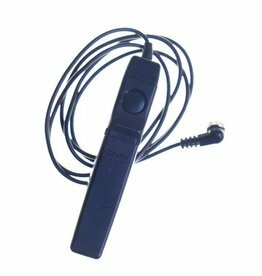 Contax Cable Switch L-30 for Contax cameras. 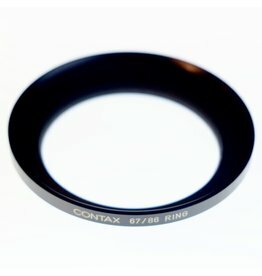 Contax 67/86 adapter allows 86mm hoods to be attached to lenses of 67mm diameter. In excellent condition. 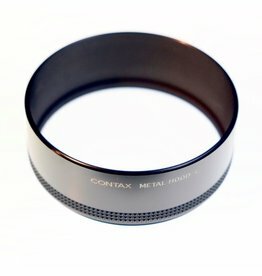 Contax Metal Hood 4 for lenses of 86mm diameter. In excellent condition, with very minor paint wear. 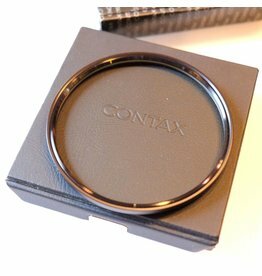 Contax 86mm UV filter in excellent condition, with original case and box. 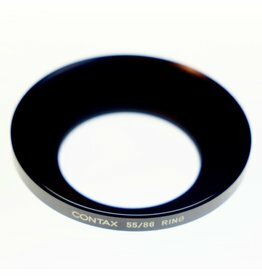 Contax 55/86 ring allows 86mm hoods to be attached to lenses of 55mm diameter. In excellent condition.